Hurrungane is the alpine landscape that is closest our hearts. In half a century, climbers and mountaineers flocked to Hurrungane in Jotunheimen National Park, the Norwegian mountaineering sports cradle. Jotunheimen is one of the finest mountain areas in Norway. Both summer and winter, this has been our playground for years. 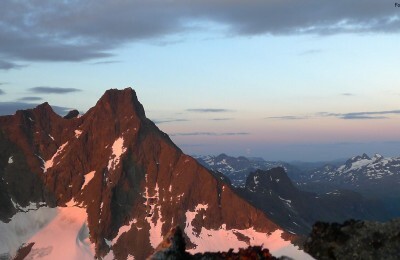 In the east Jotunheimen we guide most famous Haute Route equivalent in Norway «Høgeruta». Here we ski from hut to hut over several of Norway’s highest peaks, including Mt.Galdhøpiggen and Mt. Glittertind. The area around Gjende also offers great traverses and alpine peaks, which unfortunately may fall somewhat overshadowed by Hurrunganes wild landscapes. Jotunheimen is among the highest mountains in Norway, and is quite exposed to the wind and fast changes in the weather. Eastern Jotunheimen has mainly inland climate and has often more stable weather in summer and winter than Hurrungane located in the west. In Jotunheimen there is several hutts and hotels. It is recommended to stay as close as possible to the attendance point to get the most out of the day. If you need help finding accommodation, we’ll be happy to help you. The closest supermarkets is located in Lom and Fortun. On our guided tours, you must bring your own lunch, unless otherwise has been agreed with the guide. It is easy to get to Sogndal by bus or by air from cities such as Bergen and Oslo. From Bergen there is also daily express boats running along the fjord. However, it is an advantage having a car to reach the parking in the mountains. If you need help finding transportation solutions locally (car, minibus etc.) we’ll be happy to help you. In Sogndal, it is possible to rent alpine ski touring equipment.  Joining a Breogfjell Mountain Guide, you get to rent equipment at discounted rates at Intersport in Sogndal. The Norwegian five days Haute Route equivalent! Storen, Norways third highest peak, is the biggest price for Norwegian mountaineers due to its challenging ascent.